The New York Yankees are 62-33 and 4 1/2 games back in the AL East. This week, the cross-town rival New York Mets (39-55) come to town to wrap up the annual Subway Series. Just before the All-Star break, the Yankees split a four game set against the Cleveland Indians to finish their 11 game road trip; the Bombers went 6-5 over that span. As the second half of baseball kicks off, here are six things to look for this week at Yankee Stadium. It’s no secret the Cashman & Co. have been heavily interested in the Mets’ top pitchers. This weekend, they’ll get to see the best of them. Starting Friday night, the hurlers slated to take the mound against the Yankees are Noah Syndergaard, Steven Matz, and Jacob deGrom. Syndergaard missed his last opportunity against the Bombers due to his nagging finger issues; Matz kept the Mets in the game, allowing 3 earned runs over 6IP, back in May; and deGrom had pitched a scoreless gem well into the 8th inning before allowing a two-run home run to Brett Gardner that would decide the game. With all three pitchers “auditioning” for the Yankees, Cashman will be watching, and so should you. The Yankees starting rotation has been lacking, and thus must be watched with a different eye. The Bombers will be walking out Domingo German, Sonny Gray, and Masahiro Tanaka during the second leg of the Subway Series. Each pitcher has had their troubles this season. German has flashed signs of life, but raised his ERA to a lowly 5.49 after allowing 6 earned runs in only 4IP in his last start against the Cleveland Indians. Sonny Gray has had a disastrous stretch in Pinstripes, having allowed 11 earned runs in 4.1 IP over two starts before dialing it back and pitching six scoreless innings against the last-place Baltimore Orioles last week. Was Gray’s previous start a sign of good things to come, or only a tease? Tanaka returned last week from the disabled list and has yet to register a win. Tanaka lost the lead in his first game back on, what else, a home run to Manny Machado. In the series finale against the Tribe, he only allowed two earned runs, both coming on another long ball. 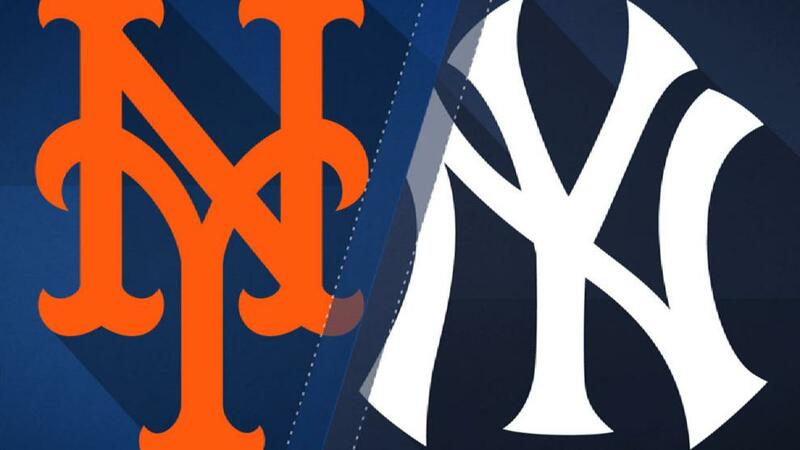 German and Tanaka held their own the last time the Yankees ran into the Mets—will they be able to bump it up a notch as we start to head down the stretch? It was a sad Fourth of July when Gleyber Torres was removed from the game with right hip soreness and placed on the disabled list. Gary Sanchez had already been missing since June 25th with a right groin injury. 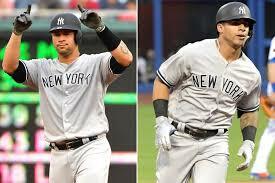 Needless to say, the Yankees have dearly missed their young stars. Their last time hitting against their cross-town rivals, Torres went 3-9 while Sanchez was 0-11. Will the two sluggers dive right in and begin contributing once again, or will it take a few games to re-adjust? Also, where will Boone opt to hit the two righties in the lineup as they recover? They may not publicly admit it, but Brandon Drury is currently facing the same sticky situation that Gleyber Torres was back in April. The young infielder is still eligible to accrue service time in the minors, and his term is up. Prior to the nightcap of the Yankees’ doubleheader against the Orioles last week, Drury was optioned to Triple-A. While some will say it was to make room for Luis Cessa or so that Drury could play in the Triple-A All-Star game, let it be known that the Yankees are smart businessmen. By keeping Drury in the minors through the rest of the first half, they have gained an extra year of control on Drury’s contract. With Matz being the only lefty scheduled to start this weekend, it will be interesting to see when or if Cashman brings Drury back to the Bigs. 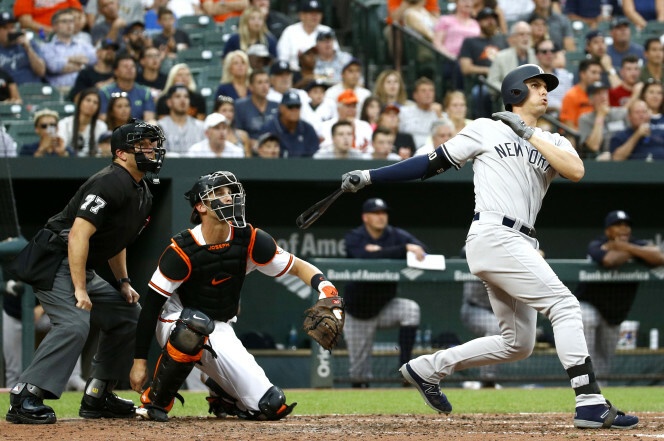 Can Greg Bird Stay Hot? Since July 11th, Bird has been hitting .273 with a crazy 1.053 OPS. He responded to his critics by crushing 3 home runs—including a grand slam—over that time. Bird has struggled with injuries throughout his career, and this season seemed no different. After missing time to heal from surgery on his right foot, Bird was hitting at a mediocre .191 clip in his first six weeks back. However, Bird has been proving as of late that he is back and ready to be a contributor in the most powerful lineup in the MLB. He hasn’t had many plate appearances against the Mets’ starters, but Bird will be looking towards that short porch out in left this weekend. Neil Walker was supposed to get paid this past offseason. Instead, clubs decided to hide their wallets on most free agents, leaving Walker to sign a $5 million prove-it deal with the Yankees. While unused to playing off the bench, the Pittsburgh native proved the GMs right. Walker has the lowest WAR (-0.8) on the team right now and owns a .197 batting average and only three home runs. Walker did crack a home run and an RBI double this past series, but the speedy Tyler Wade and young Brandon Drury are pushing for his spot. With Torres returning from the disabled list and Drury’s service time coming to an end, it will be interesting to see how many more games Walker will suit up for.